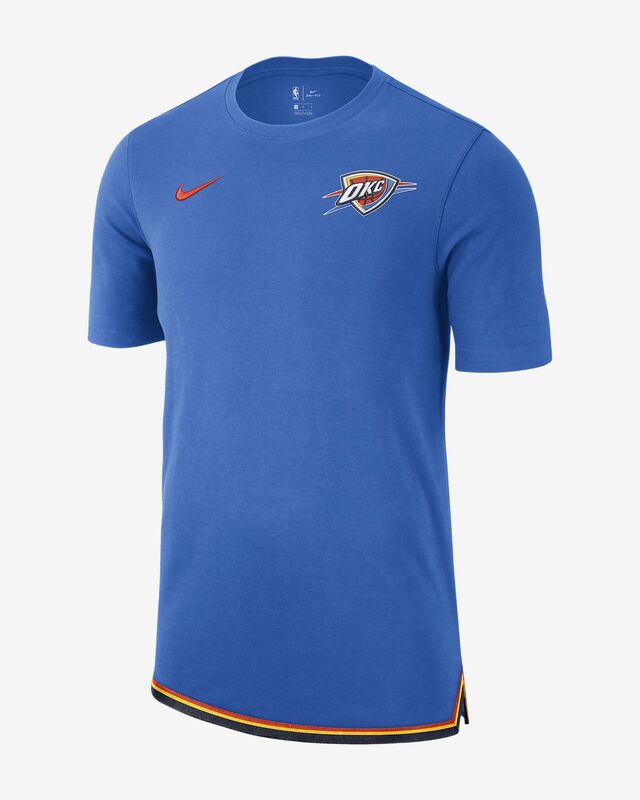 The Oklahoma City Thunder Nike Men's NBA Top brings you into NBA action with heavyweight fabric and the same authentic knit tape along the hem that's used for the on-court uniform. 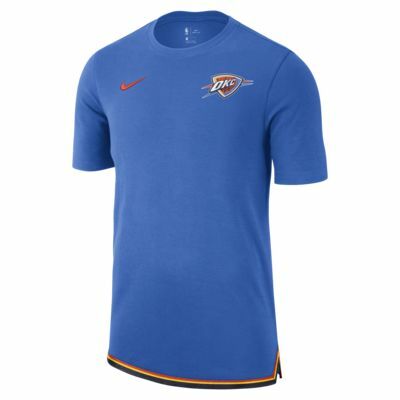 The Oklahoma City Thunder Nike Men&apos;s NBA Top brings you into NBA action with heavyweight fabric and the same authentic knit tape along the hem that&apos;s used for the on-court uniform. Have your say. Be the first to review the Oklahoma City Thunder Nike.